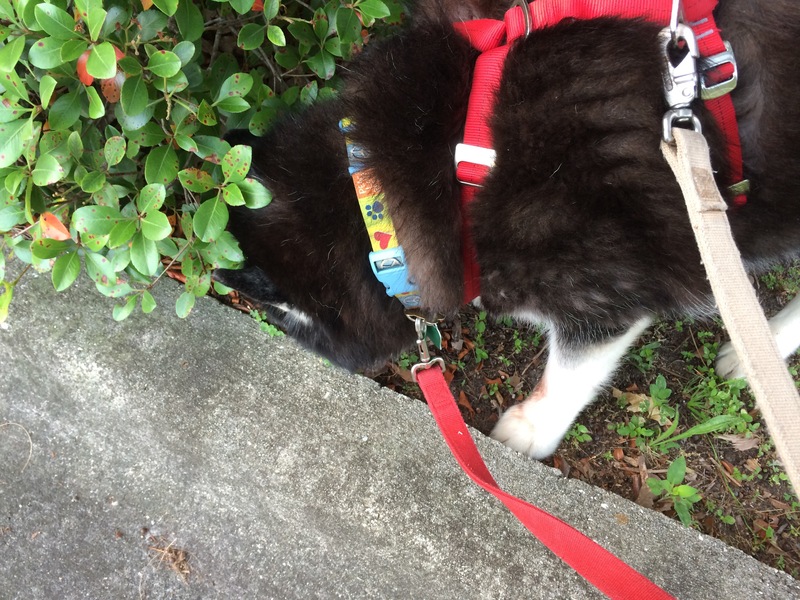 When Rumpy and I walk, there are places he likes to go to check the latest pee-mails. But he also likes to check on his peeps of all species. He has to walk up the alley behind our house to make sure all the surveyors came to work. They stand around outside before heading out for the day. In the evening we go and Rumpy sniffs around the area to see what they were up to. And there is, of course, Bentley the Pitbull. Bentley always barked at us when we walked by, and the Rumpster would leave a peemail across the street. But then Bentley wasn’t there, and Rumpy seemed forlorn as he hung around waiting for a sign from his friend. We learned last week that Bentley ate some yarn and it blocked his intestine, resulting in his need for surgery. Today, though, Rumpy kept hanging around across the street from where Bentley lives and was rewarded with barks and tail wags from his friend. Rumpy never barked back, but I could feel he was relieved to see Bentley again. Soon this will all change. We are moving to Nashville, and Rumpy will no longer have sand to leave his paw prints in or Sam the one-eyed cat to whine at. There we will have new smells and new friends to check on. It is bittersweet, because while this move is in our best interest, I feel guilty uprooting him and Buggie yet again. At any rate, if you don’t hear much from us in the next few weeks, don’t worry. We are here, just very busy as we plan our latest adventure. Oh, and if you have a lead on a place to rent in the middle TN area, give me a holler! « Happy Mother’s Day to My Mom! Thank you! I’m sure it will be wonderful no matter where we end up! nashville is lovely. the kids will be fine because they’ll be with you. good luck. Thank you! I lived in the area before so it won’t be totally new. But it will be different! Thank you! I hope so too! I am an obsessive planner so hopefully not too many surprises. Home is where the cats (and Rumpy) are. Good luck on your new adventure. I’m sure Rumpy will find new friends. Peemail is universal. And under these circumstances- but it is what it is and is for the best. How great to have a whole new city to explore. Why feel guilty? Because they are old and the process of moving is hard on them. We have been through this before and they both were upset. But I do as much as I can to comfort them so hopefully it will go as seamlessly as possible. Thank you! I am doing what I can to make this as stress-free as possible, but I know that moving them 8 hours away is going to be hard on them no matter what I do. But we moved down here, and we will move back. If all else fails, I will visit the vet and ask for puppy valium and kitty prozac. Yeah I used Benedryl on the move here and moved Rumpy and DeDe before the big day, boarding them with a vet until the move complete. I meant for the dogs, but a nice Xanax might help me too! So exciting! Best of luck in your new place. I hope the move goes well. This will be a wonderful adventure, and Rumpy will definitely make new friends. This is true. Rumpy makes friends wherever he goes! Good luck on the move, Jen! Best of luck with your move! I’m sure Rumpy will have some new pals in no time. That he will. Rumpy makes friends wherever he goes. Moving isn’t easy…and we hope all goes well. No it’s not, but I’ve done it before so I’ll make it happen somehow. Good luck with the move. Whee know things like that can be stressful so whee hope it all goes smoothly! True. I’ll figure out some way to make it happen though. I am resourceful. Good luck with the move, Jen! We have our fingers crossed that everything will go smoothly, and be stress-free for you, Rumpy and June Buggie. Hugs to you all. Thanks! I will do my part and I think we’ll be OK. It’s not like they haven’t been through this before. Yes we’re moving to Nashville. I have been offered a job there and accepted it. Good luck with the move! Hard to uproot them but hey, they might like the new place even more. Ya never know until ya get there right? If only you were here to move the furry gang. That would have been our honour! Shame. Good lucks with your move, Jen!!! I hope that you, Rumpy, June Buggie and gangs would get settled in your new place in Nashville! 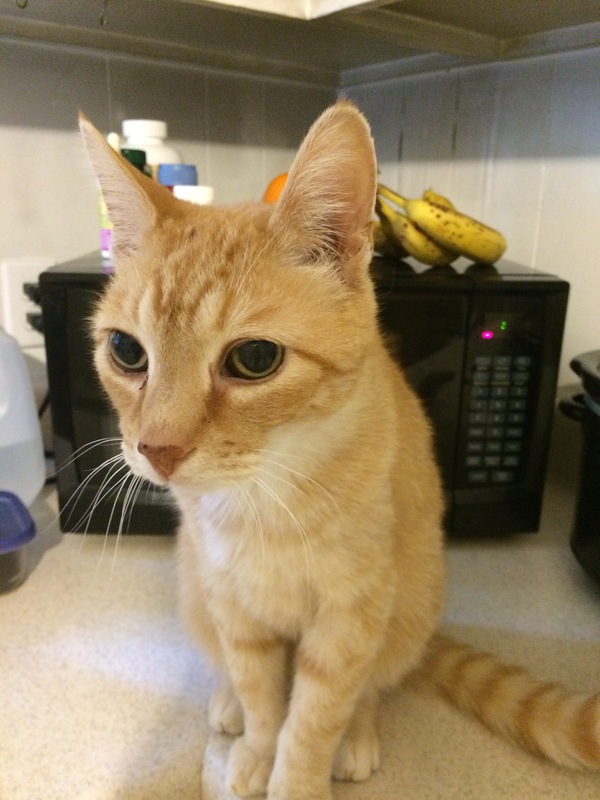 I’m sorry that Rumpy would might miss Bentley…and Sam cat….but our life has to go on…..You would have lots of lovely adventures in your new place, too! Please take care! Love from angel Kevin, mom and kitties. Congratulations on the new job, yet very sorry to read that you have lost Malachi. Life hands us so many challenges but moving while grieving the loss of a friend is a lot. Here’s hoping your move has been successful and Nashville is a fabulous city – in fact Tenessee is one of our favorite states, we’ll be in Wears Valley for two weeks in July. Nicest people!